A general contractor will need to register and apply through the Montana Department of Labor and Industry as either a construction contractor or an independent contractor. During both processes, there will be one form for registration and application. Additionally, a business license will need to be obtained for a construction or independent contractors license. It is important to know that additional paperwork will be needed, such as tax registration, and workers’ compensation insurance will be required to avoid a fine. Furthermore, if you are planning on performing specialty trade work (such as plumbing and electrical contractor work), you will need to go through a separate licensing and exam process, along with paying the additional associated fees. Check out the information below to understand all that you need to know about becoming a general contractor in Montana. Anyone who plans on doing the contractor work as described by the Montana Department of Labor and Industry will need to register and apply for a Construction Contractors or an Independent Contractors license. Licenses will be valid for two years, and will need to be renewed accordingly. Any contractor or subcontractor with employees, or who is part of a business entity, that plans on building and performing the above listed work will have to register and apply for a construction contractors license. Additionally, the Montana Department of Labor and Industry offers an independent contractor central unit application. If you are planning to do contractor work as described above, and independently own your business, and have elected not to cover yourself under Montana’s Worker’s Compensation policy, you will still apply through the Montana Department of Labor and Industry. However, you will need to complete and submit an Independent Contractor Exemption Certificate to complete your registration application. Specialty trades, such as plumbing and electrical, will require separate licensing, exams, and fees. To register for an electrical license, visit the Montana State Electrical Board website. For more details on your plumber‘s license, visit the Montana State Board of Plumbers site. What Do You Need To Become a General Contractor in Montana? Registering for a construction contractor or independent contractors license will be processed through the Montana Department of Labor and Industry. For both licenses, the registration and application will be done through the same form. Although your licensing application process will look similar, you will need to meet additional requirements to become a licensed independent contractor. Register and obtain your business license through the Montana secretary of state website. Show proof of workers’ compensation insurance if you have employees. Show that you are engaged in your own independently established business. Obtain an independent contractor exemption certificate, or be covered through a self-elected workers compensation insurance policy. Submit application and waiver form. Exams or proof of experience is not required for construction and independent contractor licenses. Exams, fees, and additional requirements may need to be met for specialty trade licenses, such as electrical and plumbing. As mentioned above, your construction and independent contractors license will not require examinations. However, an electrical or plumbing license will require exams and associated fees. 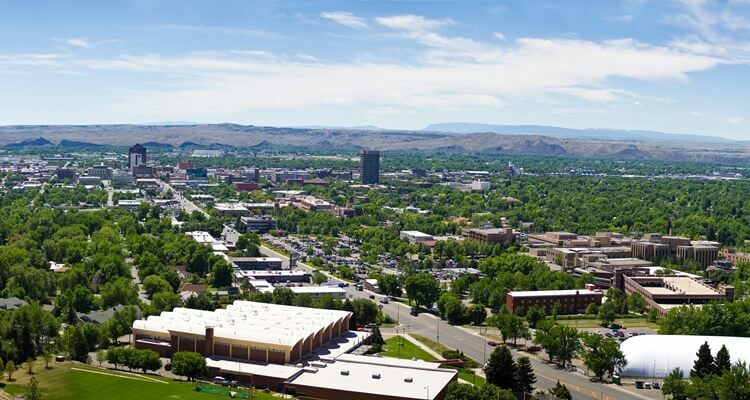 Your process for an electrical license will go through Montana State Electrical Board. For residential, journeyman, and master electrician licensing information including application, scheduling, locations, and fees, visit the Montana State Electrical Board website. To obtain a plumber‘s license, you must contact the Montana Board of Plumbers. Or, go to the Montana Board of Plumbers website for information on application, exams, locations, and associated fees. As mentioned above, your registration and application for both a construction and independent contractors licence will be handled by the Montana Department of Labor and Industry. For both licences, you will need to show proof of a business license — whether you have employees or not. If you do have employees (in the case of a constructors license), you will need to show proof of workers’ compensation insurance and may be required to show additional paperwork. If you are applying for an independent contractors license, you may submit an workers’ compensation exemption certificate with your registration and application form. Montana’s application and registration are one and the same for construction and independent licenses. Both applications will go through the Department of Labor and Industry, and you will need to show proof of business for both licenses. For an extensive look at Montana’s contractor registration and permitting requirements, visit the Montana Department of Labor and Industry. To perform contractor work in the state of Montana, you will need to obtain a business license to do so. Furthermore, you will need to acquire the proper permits and additional paperwork to bid or perform contractor work in the state of Montana. Business registration can be conducted through the Montana Secretary of State website. Business Tax Express page for more details. If you are part of a business entity, with employees, you will need to show proof of Workers’ Compensation Insurance Policy. For more details, visit the Montana Department of Labor and Industry. Visit the Montana Department of Labor and Industry contractor database to look up a valid contractor, report an incident, or additional information.